What a fine vintage Chloe is for her 60s in the fashion world, she is no wall flower though Chloé’s got attitude and a very good one. 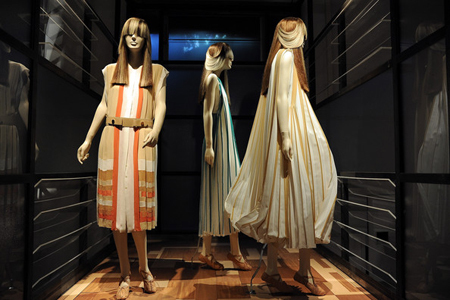 The long-awaited retrospective of the French lable “Chloé Attitudes” kicked off in Paris at the Palais de Tokyo on September 28 2012. From former Chloé designer Karl Lagerfeld to Anna Dello Russo, who recently launched her H&M collaboration, to the presence of the lables founder, Gaby Aghion. The retrospective was not the run of the mill. It involoved dreamy installation settings of 10 thematic pedestals designed by curator Judith Clark, showcasing archived silhouettes of the lable, next to a small photography installment, including Chloé shoots and editorials, with works by Guy Bourdin, picturing Jane Birkin in 1965 or Helmut Newton’s portrait of Paloma Picasso – both commissioned by Vogue Paris in the early 70s. 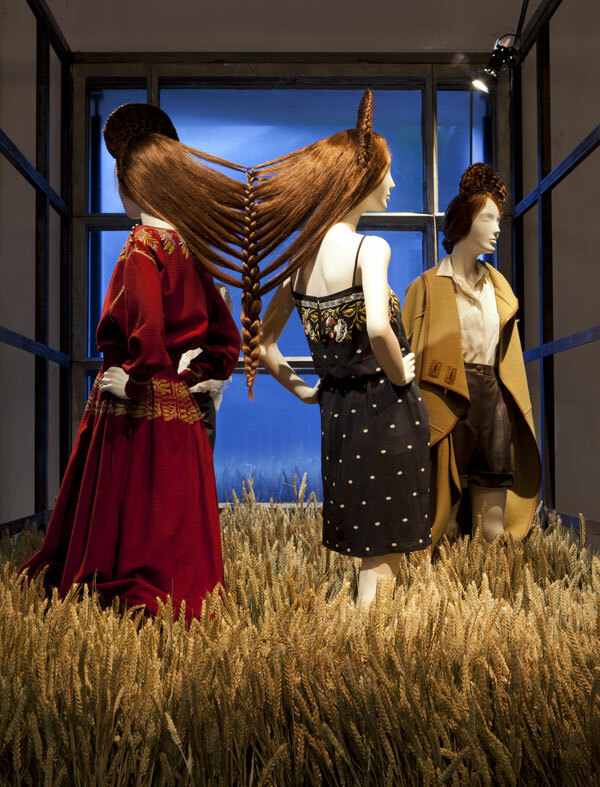 clever choice of archived pieces in playful set designs, were completed by the surrealistic hair styling of Angelo Seminara, who created interactions between the mannequins and the installations with his tongue-in-cheek hairdos. There was also no chronological or nostalgic presentation. 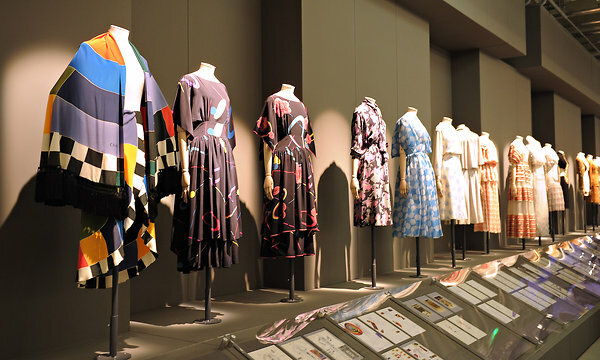 Instead the audience was taken through the past 60 years of the French label by showcasing the sophicticated yet unpredictable image of the label, opting for 10 cheeky thematic installations that encapsulated timeless style-codes through a smart mishmash of archived garments. 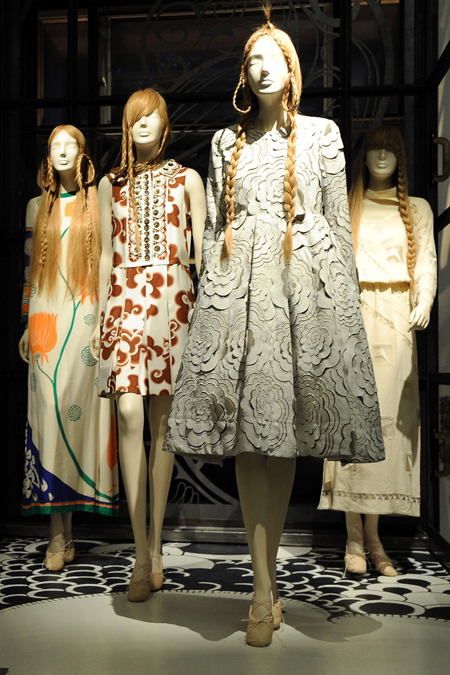 key pieces from each of Chloé’s designers, under Aghion’s good will: Karl Lagerfeld, Gérard Pipart, Maxime de La Falaise, Martine Sitbon, Stella McCartney, Phoebe Philo, Hannah MacGibbon, and Clare Waight Keller – seventy pieces represented the brand’s inventive and feminine identity. While Aghion’s ambitious and informal first fashion show at Paris’ beloved Café de Flore in 1956 introduced to the Art Déco trend, Lagerfeld added a further dramatic take one the fin-de-siècle atmosphere, inspired by Aghion’s egyptian aesthetics that rubbed off on silhouettes from the 70s to the 90s. Then, Lagerfeld’s Flora & Fauna pieces for Chloé set the tone in the 70s next to psychedelic inspired silhouettes of Pheobe Philo, that played with notions of femininity and hippie language with airy chiffon daywear. 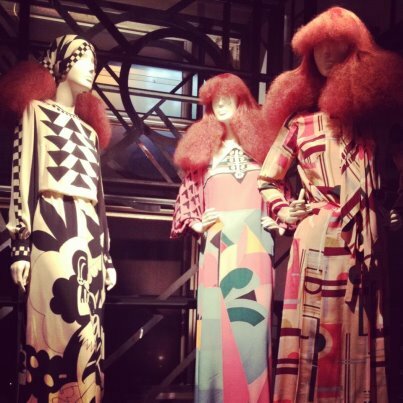 Bold graphic prints of the 60s, associated to the Bauhaus aesthetics and echoes of Aubrey Beardsley’s artistic illustrations were worth-watching. Stella McCartney’s Wild Horses-inspired spring/summer 2001 collection was the starting point for the déco beach installation of one of the exhibition boxes, while Pheobe Philo’s spring/summer 2004 season inspired the scenery of a surreal imagery of blown-up bananas. On their side, Hannah MacGibbon’s cornfields and Clare Weight Keller’s contemporary clean lines, grids and sleek layering, undeniably leapfrogged Chloé’s signature style into the future. 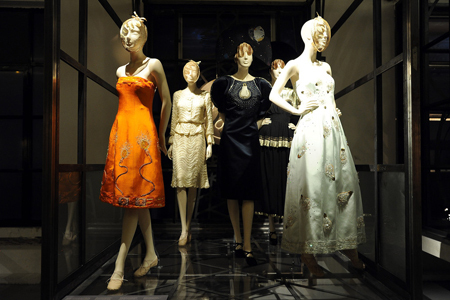 Fancy to know more about the Chole’s “Embroidery” or “Counter-Couture”? Go to Chloé’s Alphabet (http://www.chloe.com/alphabet) and simply choose one of the 26 letters in the alphabet to enter Chloé’s compelling new experience.